At Safe Storage, our professionally managed facilities are your convenient self storage solution. Whether you’re looking for a small unit to hold a few boxes or a large unit designed to hold the contents of an entire home, our facilities have you covered. Modern features like 24-hour gated entry, motion-detecting lights, and drive-up ground floor access make moving easy, day or night. And industry-leading perks like onsite management, a packing supply shop, and online bill payments add up to a truly streamlined moving experience. Contact us today to learn more about the Safe Storage difference. 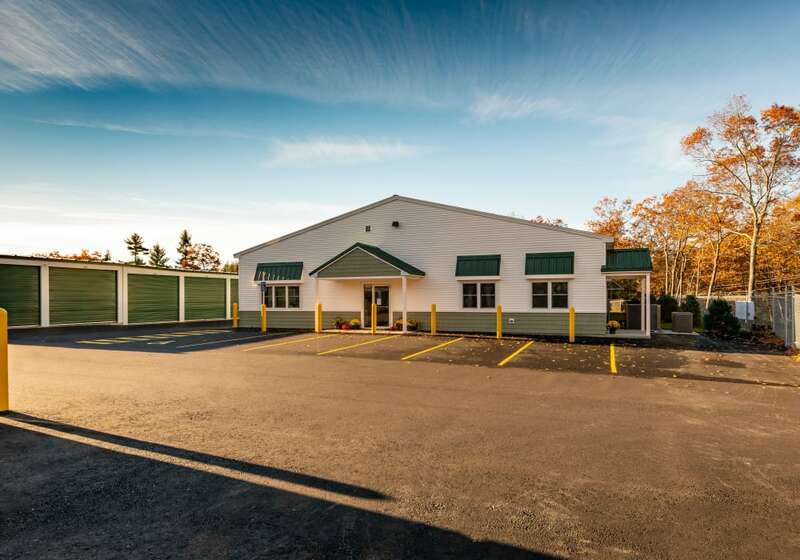 With locations in Sanford, Parsonsfield, East Baldwin, Hollis, Springvale, and Kennebunk, Safe Storage is Southern Maine’s self storage solution. All of our locations offer cutting-edge security features, including 24-hour video camera recording, personalized entry code, and motion-activated lights. Additionally, our Sanford and Kennebunk facilities offer the added peace of mind of temperature-controlled units, designed to limit fluctuations in temperature and humidity. Whatever your storage needs, you’re sure to find the right unit at one of our conveniently located facilities. We began Safe Storage with just two facilities. Today, we are in the process of expanding our business and bringing our industry-leading professionalism and service to an ever-growing market. But growth aside, our team will always be dedicated to providing the same great hometown-style service you have come to expect. Thank you for making our company Maine’s top solution for quality self storage. We are proud to serve you.